IT networks are more complex than ever. Today, modern organizations are leveraging a wide variety of platforms, on-premises and cloud infrastructure, and users located around the world. IT is more critical than ever; nearly every person’s job relies on some core IT capabilities. Without well-thought-out, high-performance IT, organizations are leaving major productivity gains on the table. The role of IT is twofold: enable the workforce to perform at its best and enable the organization to scale ever-growing heights. While IT organizations are leveraging a variety of technologies and solutions, one area that IT can likely outsource is identity management. A core part of the IT infrastructure is to connect users to the IT resources they need. Proper access to systems, applications, and networks is what enables users to do their jobs. User access should be seamless, requiring just one set of credentials to access as many of those resources as possible. From IT’s perspective, user access should be tightly controlled and limited to only those that need to have access. Additionally, security is of utmost importance. Access must be as secure as possible without impeding an end user’s productivity. A True SSO solution is the holy grail of outsourced identity management. One set of credentials is truly all it would take to securely login to everything a user may need: network, servers, devices, and web applications. The challenge with that vision is that most identity management solutions available today are limited in their approach. Critical components in the space – largely directory services and single sign-on solutions – have taken singular approaches. For instance, legacy directory services, such as Microsoft Active Directory and OpenLDAP, focused on one particular area. While AD focused on Microsoft Windows-based devices and applications, the LDAP protocol has been the focal point of OpenLDAP. Yesterday’s SSO solutions have concentrated on web applications. Not only do organizations have web applications but they also have them on-premises. Singular approaches limit the benefits that IT organizations could experience from an identity and access management solution. Modern outsourced identity management platforms, such as Identity-as-a-Service, deliver a complete solution to IT organizations. It’s a True SSO solution, if you will, that connects users with a wide variety of system platforms, cloud infrastructure from AWS and Google Compute Engine, among others, on-prem and cloud-based applications, and WiFi networks. Google Apps is an integrated part of the platform, thus eliminating the need to have an on-premises AD or OpenLDAP implementation. Directory-as-a-Service is the IDaaS platform that can integrate with LDAP, SAML, RADIUS, SSH, native protocols for systems, and REST APIs. All of these different protocols enable a full spectrum of support. 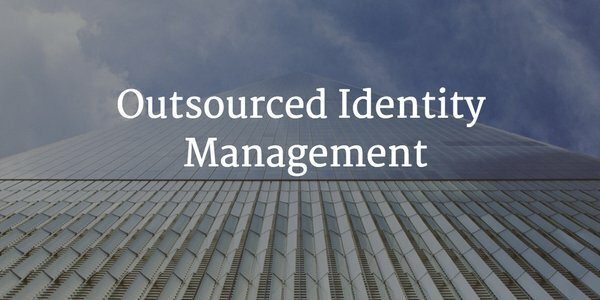 If you would like to learn more about how outsourced identity management can help you, drop us a note. Or, feel free to give Directory-as-a-Service as try. Your first 10 users are free forever.